Bring new life to your old ride with just a simple color change! If you're thinking of changing the color of your vehicle but do not want the hassles that come with a new paint job then a custom color change is the right choice for you. Here at Apple Graphics we have a wide array of styles and colors that are sure to meet your design needs, if you take a look at the apple graphics homepage and click on Our services-custom color wraps you can preview some of the color options we offer. Before you rush out and decide to get your vehicle repainted there are a few things that you should be aware of. In order to repaint a vehicle they must first remove the wax and the clear coat then buff the old color off, if there are any dents or dings in the body of the vehicle they must repair them as well, this process alone can take multiple days. Traditional paint jobs can also be quite expensive, and once the new paint job is finished there is no guaranteed protection from scratches or dings that harm your paint. Color change wraps are just the opposite they offer a non-permanent way to protect the vehicles exterior, wraps are easy to maintain, and the removal process wont damage your current paint job. If you recently purchased a new car then a custom color change wrap is the perfect investment for you to help protect the value of your vehicle. One of the creative benefits of a car wrap as opposed to a paint job is the option to mix and match color to achieve your own custom two-toned look. Whatever your vehicle color change ideas or needs may be let our knowledgeable professionals assist you in changing your color not your ride. 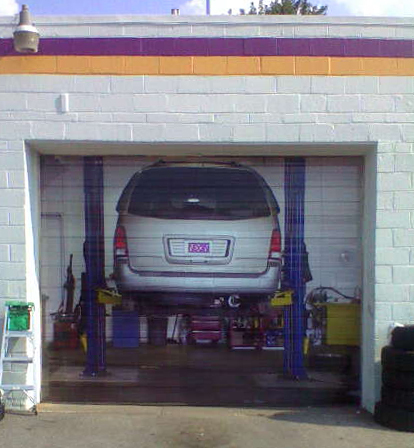 We can help you to create the perfect atmosphere for your business by transforming those plain walls and windows into the eye catching imagery your business needs to grab the attention of consumers. Store front Murals and window graphics are a great way to utilize the present blank space you have and transform it into a visually stunning scene. One of the main concerns when it comes to window graphics is visibility. Window Graphics are designed some what different than the common vinyl wrap, small perforated holes allow light in so that from the inside it seems nearly invisible, while offering security and shading from the outside and they are still just as durable and weather proof as a traditional wrap. 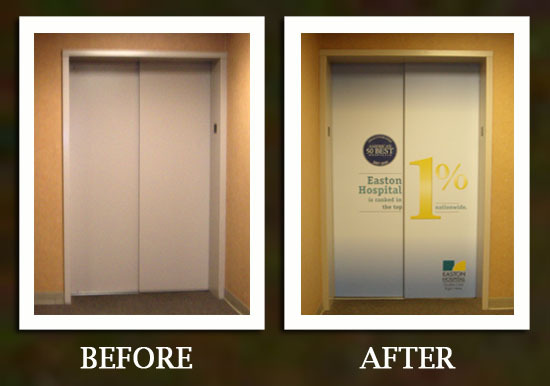 Wraps can be applied on virtually any surface including walls! Wall wraps are a great addition to your store interior or home decor. Once the customer has already visited your business leave them with a visual memorable imprint. Wall wraps are ideal for large indoor wall spaces, they can be installed on multiple different surface, achieves a timely and mess-less completion, and they can also be less expensive than some traditional wall finishes. We want to help you find what best fits your company's needs and push you to stand out from the crowd. Come to Apple Graphics where we take your unique vision and turn it into reality with a custom vehicle wrap. 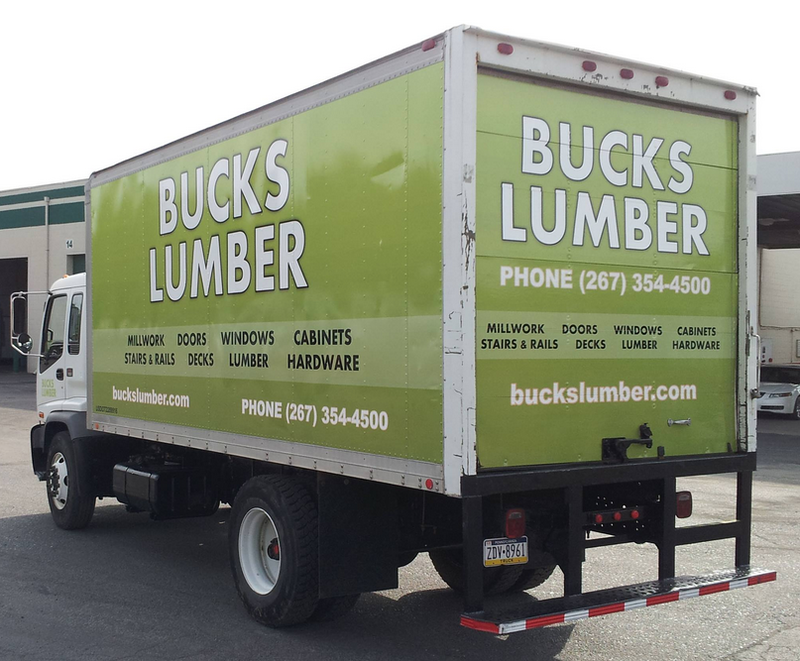 We cater to as many different types of vehicles as possible and we specialize in a wide range of designs and wrap types to help your company reach customers you may not have come in contact with. Maybe your a start up company and your on a budget, a Partial Vehicle Wrap is half the cost of some full vehicle wraps and can be just as appealing to your clientele. By taking your logo and your inspiration we can incorporate it with some simple lettering in a way that gives it the appearance of a full wrap. 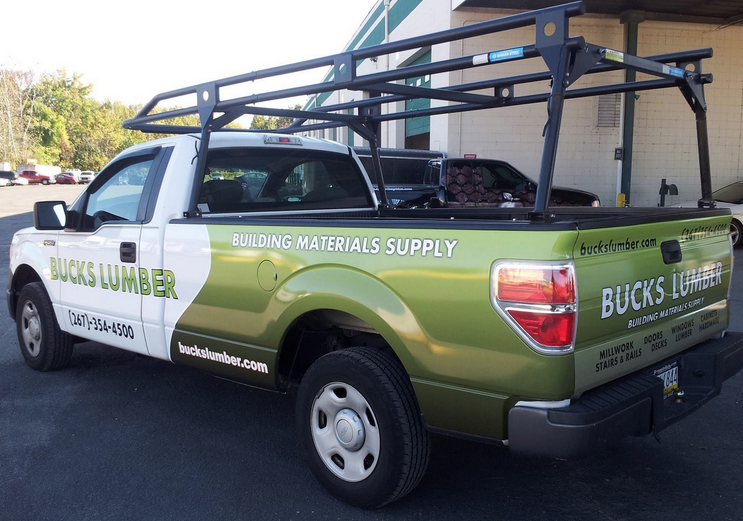 Partial wraps are also what we like to call "Installer Friendly" it takes much less material, and a significantly less amount of time to complete the wrap which is also beneficial to the customers time and budget needs. If you are in the market for a more conservative look or just interested in custom lettering, we can offer you a variety of styles and text types that can give your company a straight forward yet informative look. 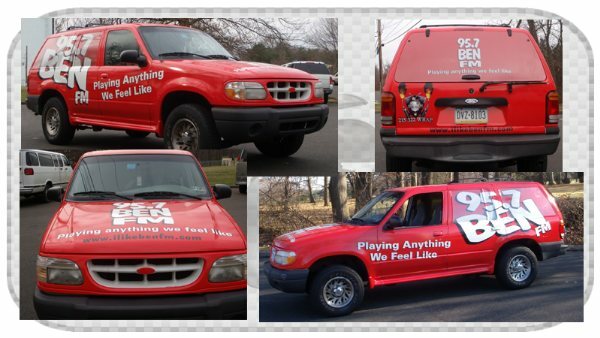 Check out our wrap gallery to see some of the partial vehicle wraps and design work we have done for some of our previous customers. No matter what your wrap needs are may they be personal or commercial we want to help you and your business achieve its greatest potential.